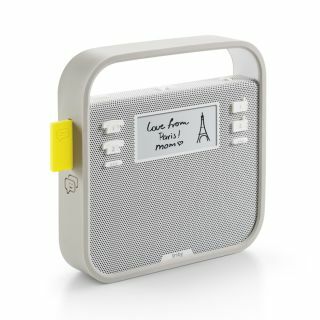 Invoxia launches voice-controlled wireless speaker powered by Amazon Alexa | What Hi-Fi? For those who don't know, Alexa is Amazon's virtual assistant - think of it as a rival to Apple's Siri and Microsoft's Cortana. You can already access Alexa through the company's Echo wireless speaker and Fire TV streaming box. Aimed more at kitchen use, the Triby features a magnetic back and durable design. You can stream radio stations and music at the touch of a button over Bluetooth, or you can take advantage of Spotify Connect over wi-fi. Alternatively, and this is where Alexa comes in, you can shout out voice commands (or say them politely) such as "Alexa play jazz" and the speaker will oblige. You can even ask it to make phonecalls using your smartphone if required. The Invoxia Triby is due to go on sale in Spring 2016 for €199/$199.